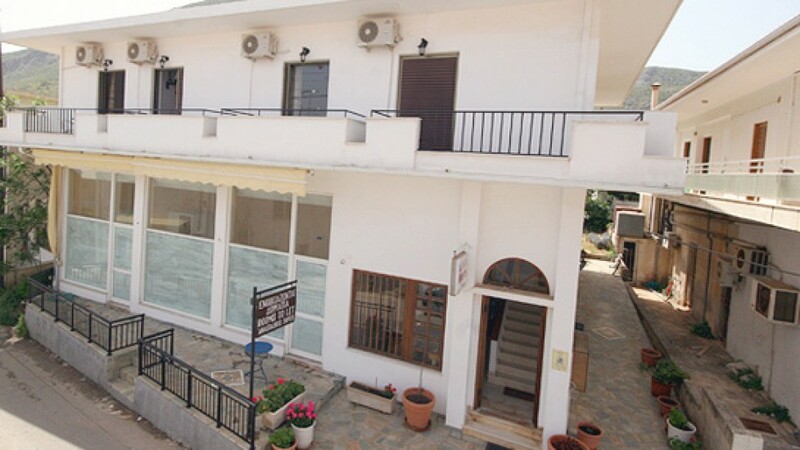 Anastasios Sofos is a small family unit at the center of Monemvasia town next to the National Bank branch. We provide standard accommodation which consists of 8 double (queen or twin beds) and triple rooms. All rooms are equipped with TV, refrigerator, a/c, and a balcony with Castle or village view. Free WiFi internet connection is available to all rooms. Very close to our rooms you may find many restaurants, cafés, super markets and any other store you may need during your stay. The nearby beaches are within walking distance while the best beaches of the area (Pori Ambelakis) are at a distance of 3 and 5 km respectively. In any case, we suggest to to go on a 1-day trip ro Elafonisos island in order to swim in its amazing tropical-like beaches with the emerald waters. Anastasios Sofos is the ideal accommodation choice for travelers who wish to explore the magical destination of Monemvasia and its surroundings.